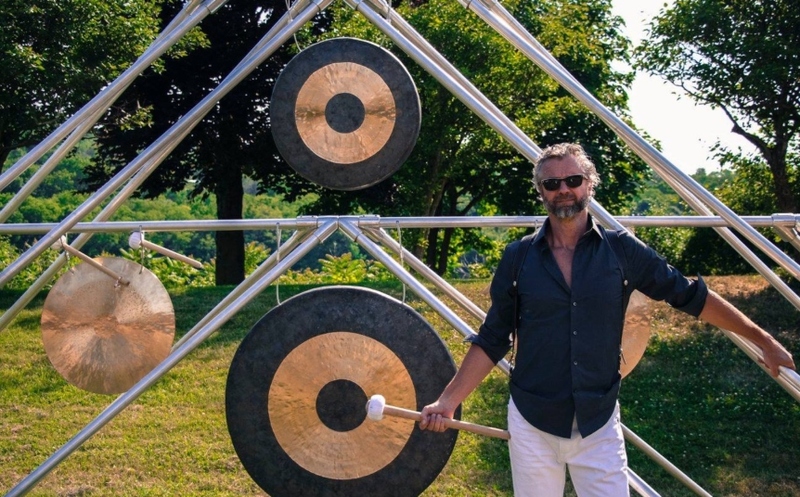 William Close and The Earth Harp Collective created a permanent music sculpture for ARTPARK in Lewiston, NY. He presented the music sculpture during the Keybank Summer Solstice Celebration at the annual Fairy House Festival on June 16. His sculpture will now be a permanent fixture in ARTPARK. Close joined the celebration with an unforgettable performance. The world premiere performance featured a collaboration with choreographer Jon Lehrer in a large-scale inclusive dance by professional performers and all festival visitors.